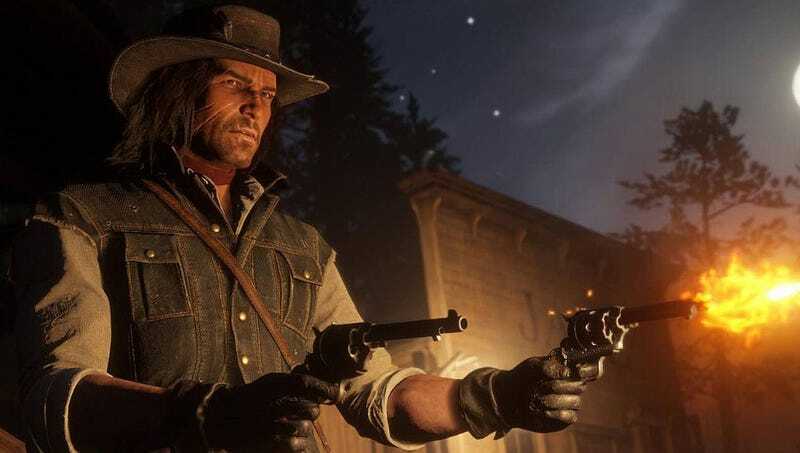 Red Dead Redemption 2 has received nearly universal acclaim since its release in October when it had the second-most profitable entertainment product debut in history. The Onion answers common questions about playing the open-world Western game. Q: How long should the game take to complete? A: According to its creators, no more than an hour or two. Q: Is a visit to the Cheyenne Frontier Days Old West Museum required to understand the backstory? Q: What is the setting of the game? A: Red Dead Redemption 2 takes place during the rough-and-tumble times of the American Wild West, but in New Jersey. Q: How do I find the helicopter? A: That’s the other one. Q: Are any of my friends or family members more entertaining than this game? Q: Who are the game’s creators? A: The fine compulsively overworked folks over at Rockstar Games. Q: Can I shoot a stranger in the head point-blank with a rifle I found in the woods? A: Don’t see why not. Q: Should I pat my horse some more? A: Oh yes, a few more pats would be real nice.